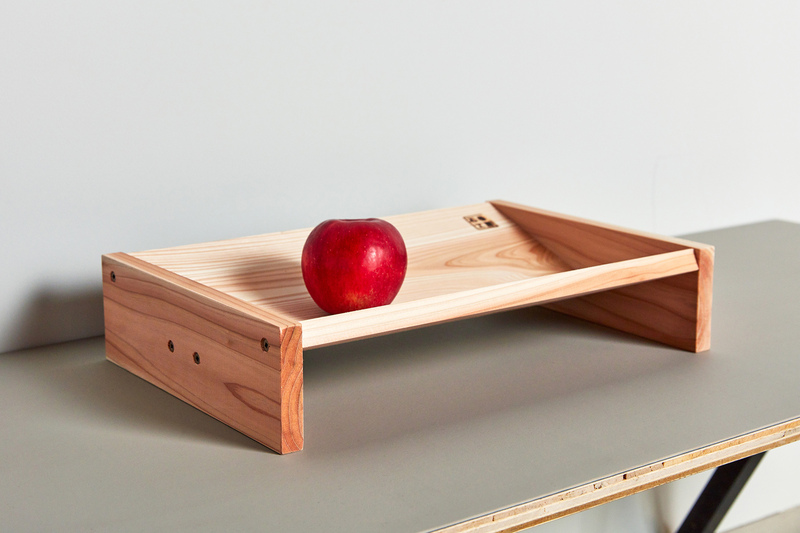 This is a minimalist fruit tray that takes form by using the hollowed space carved from placing two wooden boards placed side-by-side on an angle. 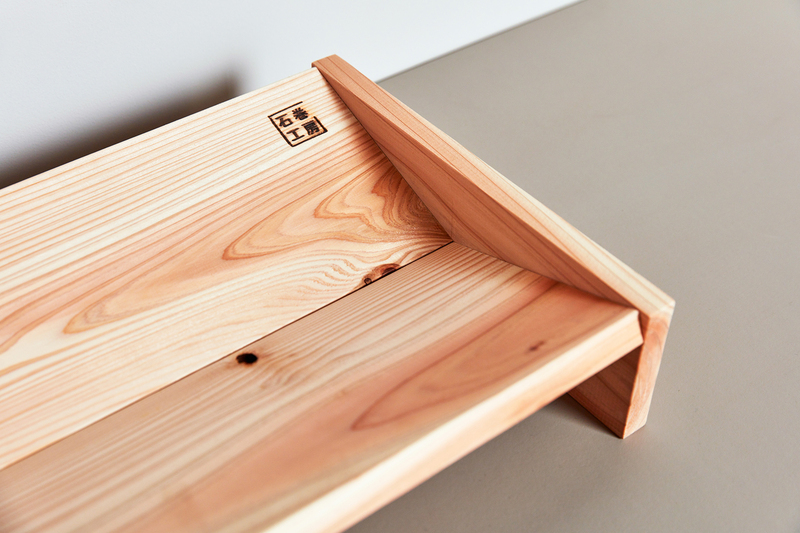 Using Japanese cedar harvested from Miyagi Prefecture’s Mt. 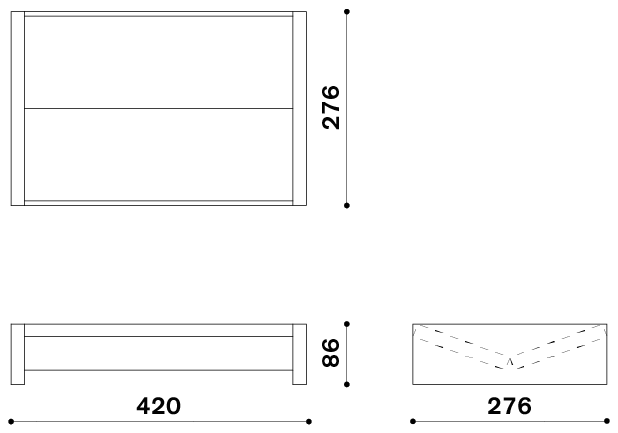 Kurikoma, the design takes advantage of the breadth of 1x4 and 1x6 timber to create a simple structure. Despite its name, this is an useful tray where you can place things other than fruits, such as pens and small objects. Worked for IDEE from 1998 as a furniture designer for IDEE’s line. Left IDEE in 2005 to open own studio, Shigeki Fujishiro Design.